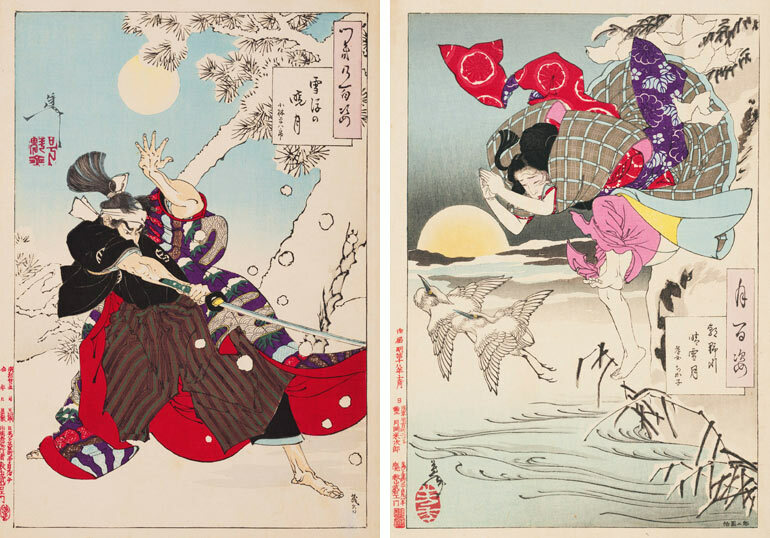 For the first time, the Art Gallery of NSW will present from its own collection an exhibition displaying the full series of One hundred aspects of the moon by Tsukioka Yoshitoshi (1839-1892). This remarkable series was published between 1885 and 1892 and is recognised as the artist’s masterwork, designed in the last seven years of his life. The exhibition showcases the impressive technical skill and imaginative designs that have secured Yoshitoshi’s place in art history and as an originator of manga and anime. Each image is a moment in time and poetically draws from stories relating to the moon in Japanese and Chinese history, famous legends, literature and theatre as well as folklore. The characters of these stories are diverse, from stoic warriors and samurai to everyday townspeople, demons and courtesans, many expressing a reverence to the moon. Note: The closing date for this exhibition has changed from January 2017 to November 2016. The Gallery apologises for any inconvenience.